Smoking brownies recently has grabbed a lot of attention. It is a dessert available all over India, made very popular by cafes and restaurants in mumbai. It is a chocolate brownie with a scoop of ice-cream on top served with a generous pouring of melted chocolate on the ice-cream. When hot chocolate and the cold Icecream gets in touch with each other a smokey, gooey brownie is right in front of you. Served on hot sizzler plates to be relished instantly. 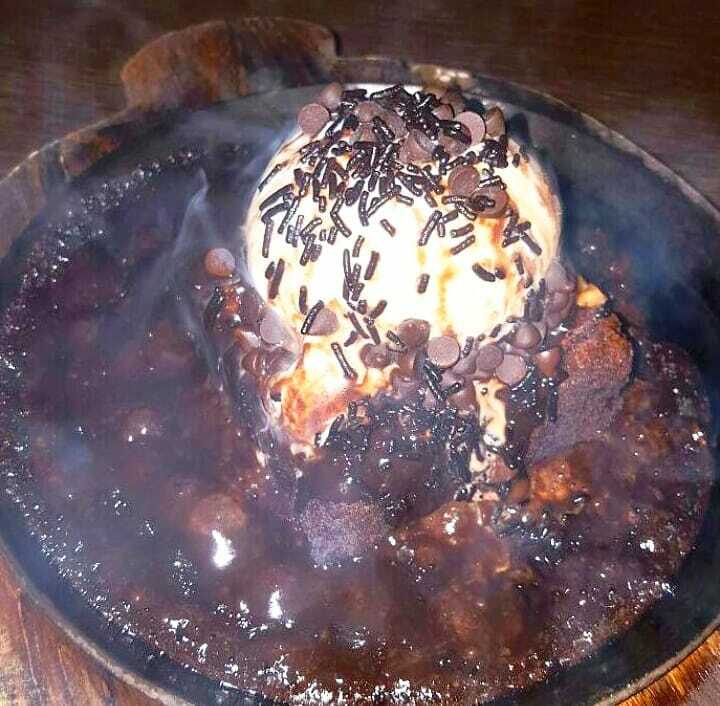 The aroma of molten chocolate, and the fizzling sound of frozen ice-cream on a sizzling dessert serves as a unique and mouth-watering treat to your tummy and eyes. #comment which is your favourite dessert? Previous PostOur Jungle Safari @Rain Forest Restro!